Summary: It's been two years since Spike helped Buffy make sure The Master wouldn't be resurrected, and his unlife has gone from bad to worse. Now that he's fed up with both Dru and Angelus, he comes back to Sunnydale, to the source of all his misery for a new beginning, revenge, and a bit of fun. What he finds, though, is slightly different than what he planned. Since the age of five, Buffy has always thought that life couldn’t get any worse. Then it always does. She does what she has to in order to survive. Her only means of sanity and escape are her fantasies in which she is a superhero who always wins the battle...eventually. 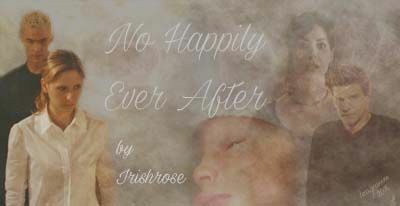 She goes through life learning that for her there is no happily ever after. Will life prove her right or wrong in the end? Follows Buffy throughout her life and ships. Spuffy tones throughout, but more so in later chapters. Summary: William Ficathon Challenge Piece. Challenge specifics at the beginning of the chapter. Summary: Takes place after 'Dead Things'. After the fight in the alley, Spike disappears without a trace. A strange demon makes a truce with the Slayer, bringing news of a slave trade that's popped up right under her nose. Summary: Spike blanks out while searching for the Slayer, and finds himself in a magic-induced liplock. In the heat of confusion, he offers Buffy a truce, and throws a series of events in motion that will change both their lives forever. Summary: Buffy and Dawn are con artists. They've been friends for a long time. They make money by scamming gullible men pretending to be mother and daughter. Everything is going swimmingly. Until they set their sights on the wrong man. Summary: Based on the movie. Yes, that movie. Will and Buffy are the couple. Xander is the billionaire. Summary: What's a good girl to do when she's set her sights on a bad boy? One word answer: Bake. Summary: Takes place after "Something Blue," the consequences of the spell brought something that Buffy and Spike never would have expected.